A few years ago I remember visiting a company at the Computex trade show that was showing off a prototype liquid cooled power supply. At the time I said that the concept was a bit extreme, and the pricing they were thinking of doing it at was immense. Fast forward a few years and a different company, this time FSP, is making the splash with the concept. 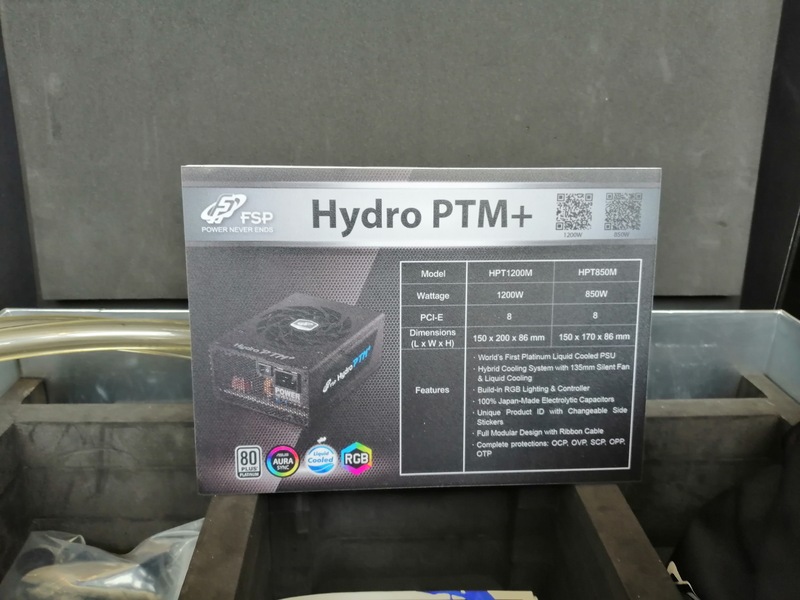 The FSP Hydro PTM+ 1200W is a water cooled 1200W power supply that is already on the market, and the company was showing off its new 850W model. In each instance, a water block is built into the power supply, with the water block coming from BitsPower. 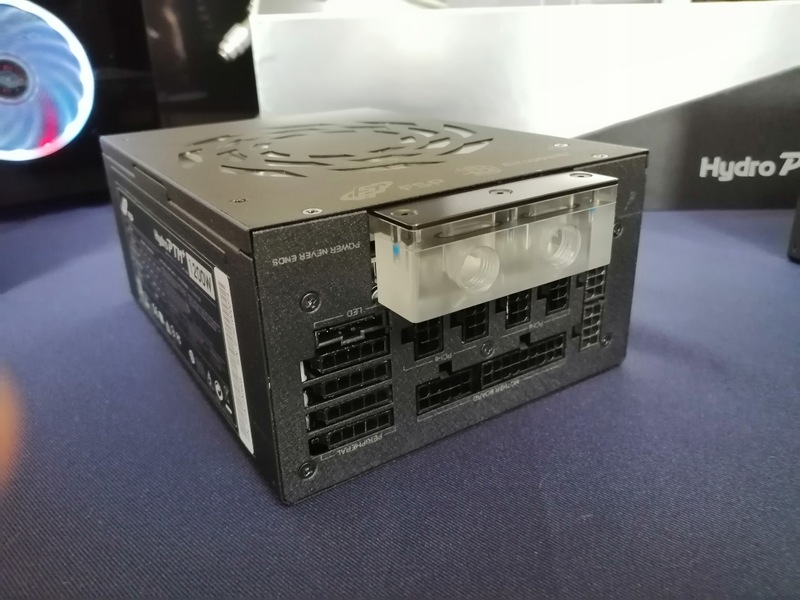 With the larger 1200W unit, users get treated to a metallic shipping container, special cabling for the PCIe and 24-pin/8-pin connectors, and some tubing with fittings already included. This obviously contributes to the $699 cost. By contrast, the 850W unit comes in a standard box and is more cost effective at $399. The 850W unit will be available from the end of Q1. These units from FSP also have a fan for air cooling. The reasoning behind this, according to FSP, is in case the water cooling loop fails or isn't built correctly. The fan automatically comes on at 50% load anyway, for what it's worth. 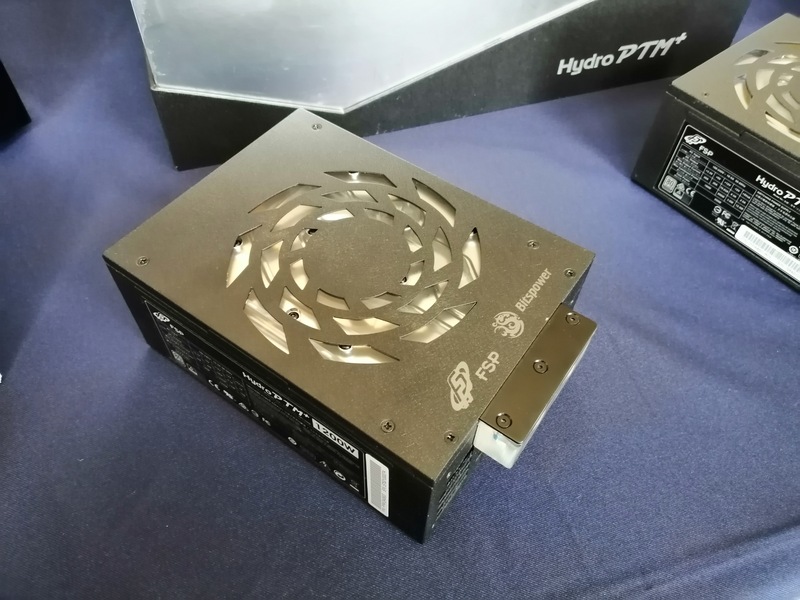 We were also told that the 1200W and 850W ratings are in air cooled mode – when the system is liquid cooled, the power supplies are rated to 1400W and 1000W respectively. 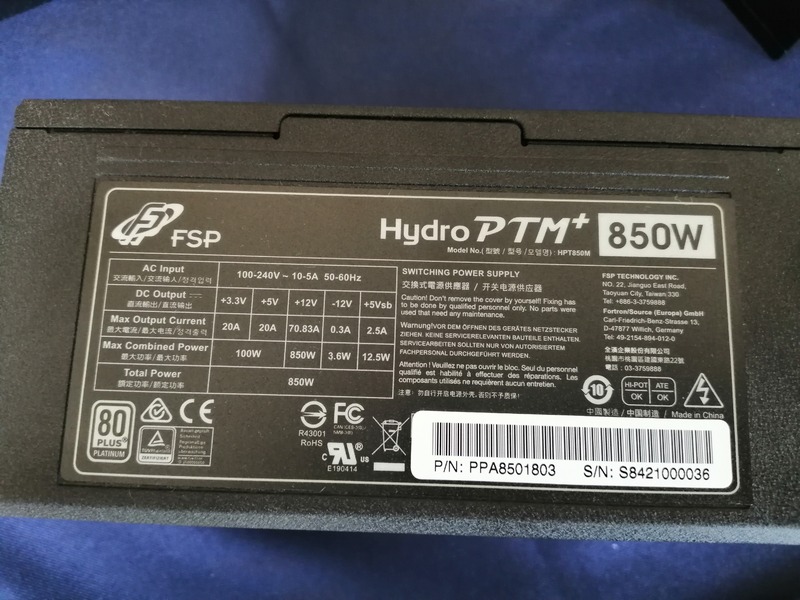 FSP recommends installing its liquid cooled power supplies at the top of the case, because if the loop leaks, it won't fall in and break the power supply. That's their general suggestion for any water cooling build.